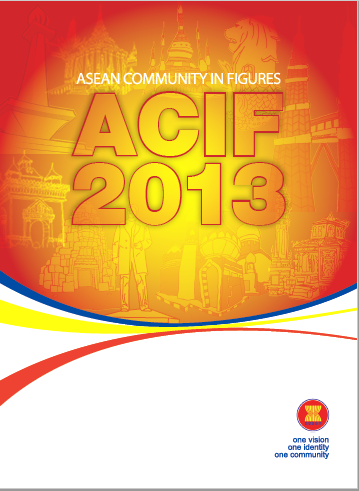 Introduction : As with the previous issues, this 6th edition of the ASEAN Community in Figures (ACIF) 2013 provides an update on major economic and social indicators pertaining to trade dependency and liberalization, foreign direct investments as well as social developments in the ASEAN region. We endeavor to release this publication annually in order to present the most up-to-date information useful to various stakeholders. Users are welcome to send their feedback to further enhance this reference material.